It seems only yesterday that Google’s Android platform began making execs at Apple sweat. Three years ago today it premiered on the market, and is now the OS of choice for 44 percent of Americans and steadily growing. And it’s not slowing down: Android has extended its reach to tablets, TVs, cars, and all while remaining open source. Don’t expect Google’s insanely popular platform to back down, either – it’s only been three short years, so there’s plenty to come. Here’s a short look back at the company’s milestones to date. Google introduces Android for the first time, emphasizing its emergence as the first open platform for smartphones on the market. The platform’s answer to the App Store, the Android Market, is announced. The first phone, the G1, is revealed, along with it the Android SDK. A month later, it’s put on shelves and the code is made open to the public. The smartphone is a well-lauded and welcomed rival to the iPhone, and tech enthusiasts in particular are thrilled with its functionality. Software upgrade Éclair is introduced. Android has a hit with its new phone for Motorola. The Motorola Droid hits stores and moves 100,000 units in its first weekend. The Nexus One is unveiled, with an Android platform – Google’s first and only attempt at producing all components of the phone. Its’ launch turns out to be disappointing and it’s unable to compete with the iPhone and the Droid. Let’s be honest, the entire thing was a little embarrassing. Google TV is introduced, built on Android and Chrome. Froyo (the latest software upgrade) is also released – although it appears only a fraction of Android users are utilizing it. The Samsung Galaxy Tab is released, and gives the iPad some stuff competition – and even outperforms it in a few categories. It’s expected to sell 1 million units in 2010. 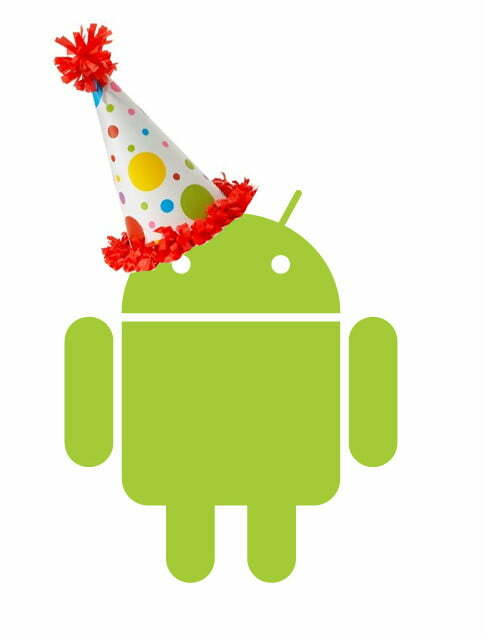 Two years after its debut, the Android Market reaches 100,000 apps.